The Calcasieu Parish Sheriff’s Office is participating in the national crackdown on drunk driving with grant funding from the Louisiana Highway Safety Commission. 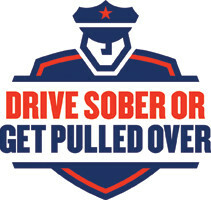 The campaign that will start, today, December 16 and end on January 1, ‘Drive Sober or Get Pulled Over,’ is a partnership with the National Highway Traffic Safety Administration (NHTSA) to curb impaired driving and save lives. The Calcasieu Parish Sheriff’s Office will have increased checkpoints and increased officers on the road, aimed to reduce the toll of drunk driving. According to the National Highway Safety Commission during the 2013 holiday season (December 18-31), there were 1,180 people killed in crashes on our Nation's roads; almost a third of those fatalities were caused by drunk-driving crashes. “By joining this nationwide effort, we will make Calcasieu Parish roadways safer for everyone,” said Calcasieu Sheriff Tony Mancuso. After I initially left a comment I seem to have clicked on the -Notify me when new comments are added- checkbox and now every time a comment is added I get four emails with the exact same comment. Perhaps there is a way you can remove me from that service? Thanks a lot!